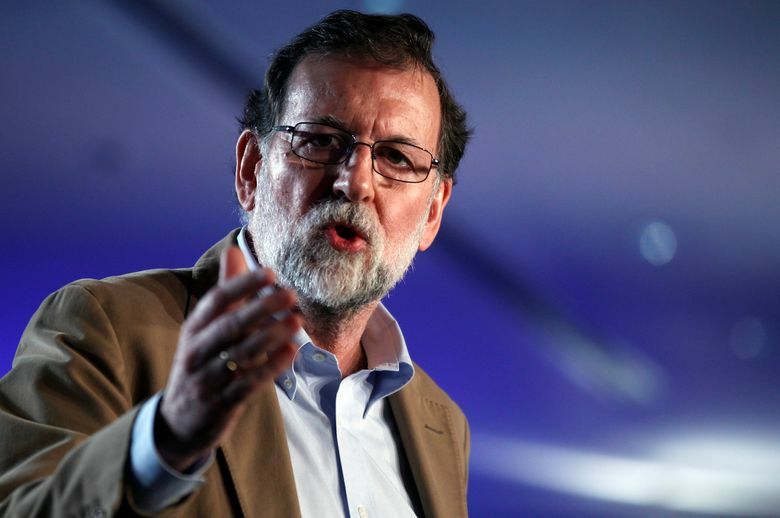 MADRID (AP) — Next year’s economic growth figures could be adjusted strongly upward if normality returns to Catalonia following regional elections next month, Spain’s prime minister said Tuesday. In an interview with COPE radio, Mariano Rajoy said the figure could rise to “between 2.8 to 3 percent” if stability returns. “That would be many jobs and a big increase in wealth and welfare levels,” the prime minister said. The Spanish government took control of Catalonia’s powers and called a snap regional election for Dec. 21 after the Catalan government declared independence. Several regional government ministers have been jailed, and the region’s ousted leader, Carles Puigdemont, is in Brussels with four associates fighting extradition to Spain for trial. They could face up to 30 years in prison on charges of rebellion, sedition and extortion. “What’s evident is that there are people interested in things not going well in Europe,” Rajoy said.